EDUCATION SERIES – Join us on the last Wednesday of each month to feed your mind! 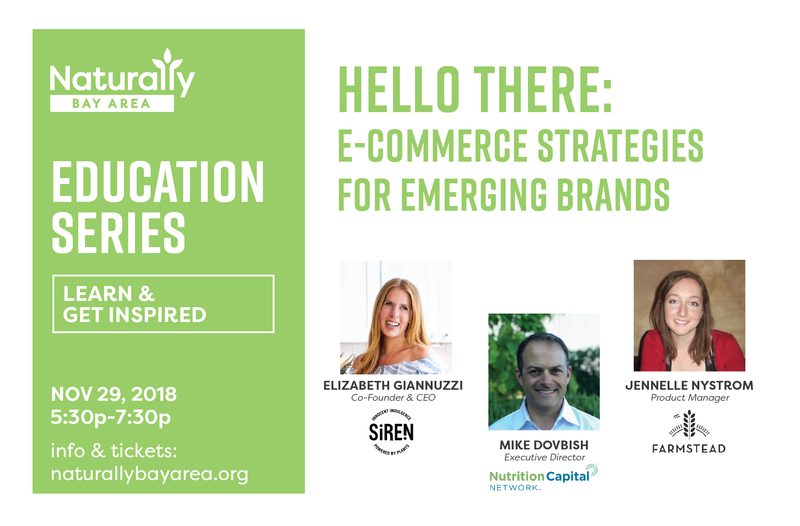 Naturally Bay Area’s Education Series uses workshops, engaging debate and long-form interviews to peer into the minds of some of the Bay Area’s best and brightest natural products leaders. This interactive session will explore how tech-driven sales platforms are creating viable opportunities for emerging brands to reach new customers and build loyal followings. 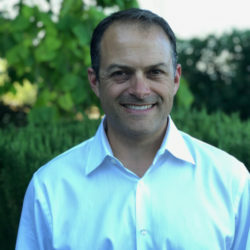 Mike is the Executive Director and one of the founding members of Nutrition Capital Network, an investor and partnering platform for growth companies in health and wellness. (Acquired by New Hope Network, part of Informa PLC in December, 2016). Mike also provides strategic guidance to emerging sustainable health and wellness businesses and disruptive, consumer and ag tech companies assisting with strategy, capital raising, partnerships and business development. Fresh of her win at Pitch Slam, Elizabeth Gianuzzi will be joining us to share Siren Snacks innovative channel strategy. Elizabeth is the co-founder and CEO of Siren Snacks, a San Francisco-based company re-imagining the functional snack space. Once upon a time, Elizabeth never thought twice about the foods she was eating – she chose what to eat based on taste and convenience. Her relationship with food took an unexpected turn after she was diagnosed with a chronic autoimmune condition several years ago. 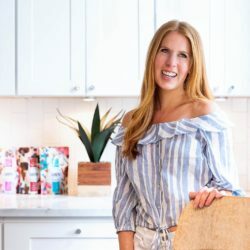 The news inspired her to take a closer look at the foods she was eating and switch to a plant-based diet free from processed, artificial ingredients. Her sister Abby, decided to join her on the clean eating journey, but they both found ourselves missing those cookies, brownies, and muffins that were now off-limits. They decided to start creating our own bite-sized treats using only vegan, gluten-free, and non-GMO ingredients, and added in a boost of plant-based protein to their recipes. Prior to launching Siren Snacks, Elizabeth worked at Sonoma Brands where she helped oversee Sonoma Brand’s portfolio companies. Elizabeth began her career at Goldman Sachs in the Investment Banking Division. 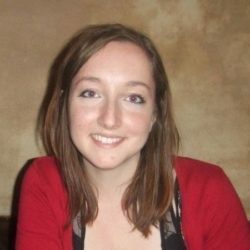 Elizabeth has a BSc in Mechanical Engineering from Brown University and an MBA from Stanford’s Graduate School of Business. Thank you to our friends at FICKS Beverage Co for sharing their unique beverages with us at this event!